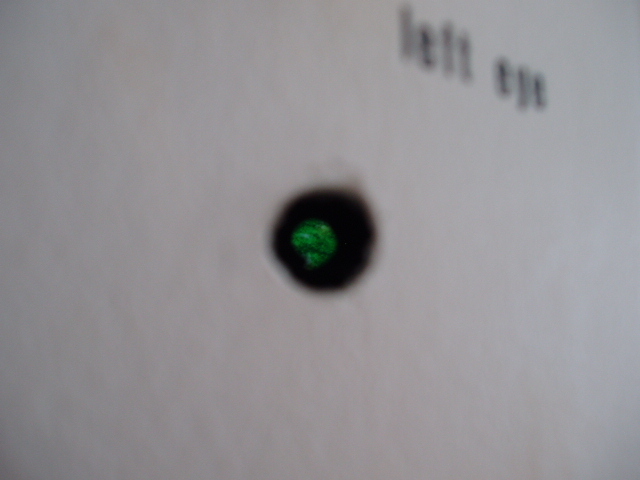 An installation inside a walk-in boxroom with peepholes. 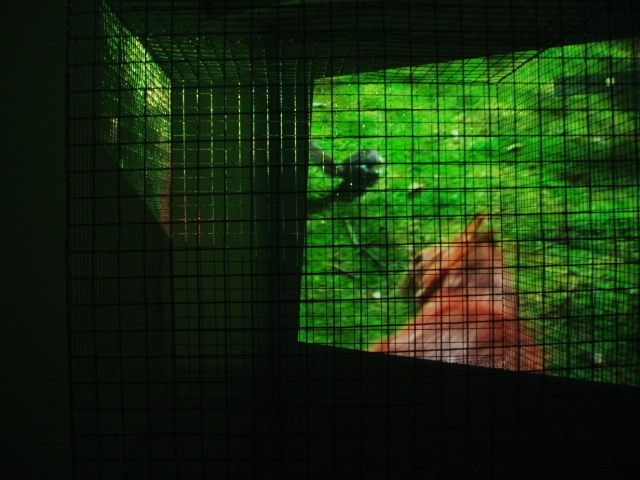 Inside, a video film projected through a wire mesh cage showed a stuffed red squirrel come back to haunt the grey squirrels in the Royal Botanical Garden in Edinburgh. 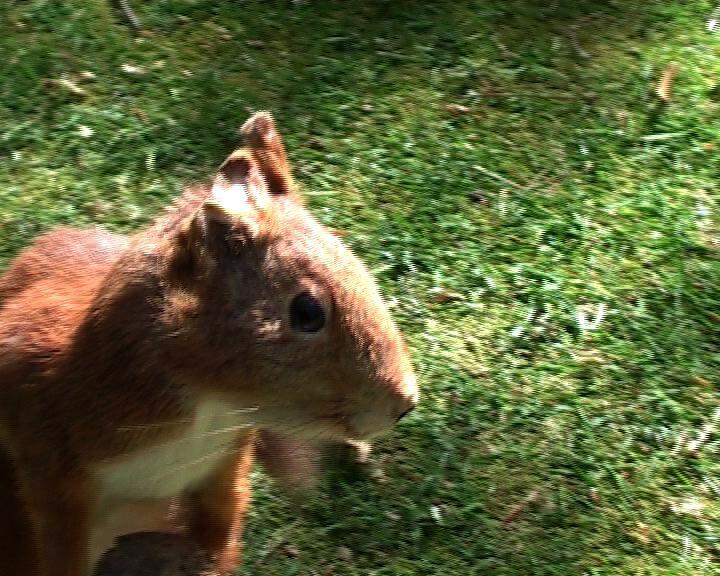 The grey squirrel having been introduced to the U.K. from America, quickly spread and caused the decline of the red squirrels, led to misunderstandings like the belief that they kill and eat them. The squirrels have now taken on wider symbols in the cultural consciuousness. 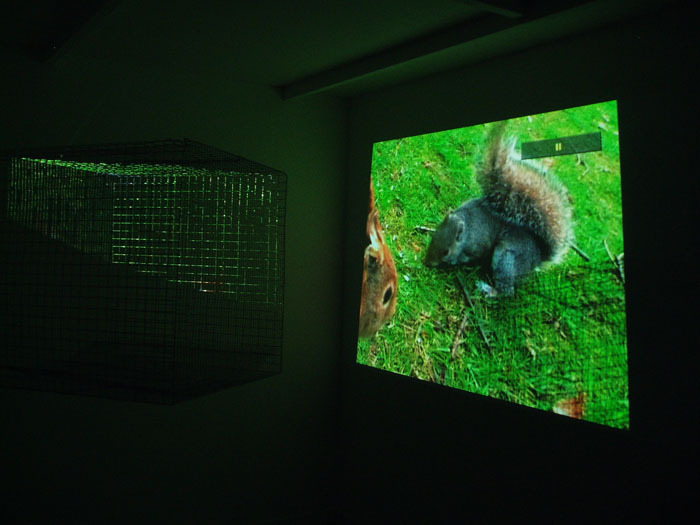 The red squirrel can be heard symbolising an idealised past and the grey squirrel a representation of intrusion and the foreign.